A complete set of Slypner shoes for your horse! Contents: 4 Stainless Steel Base Plates, 4 Flat Wearing Soles, and 120 Nails. 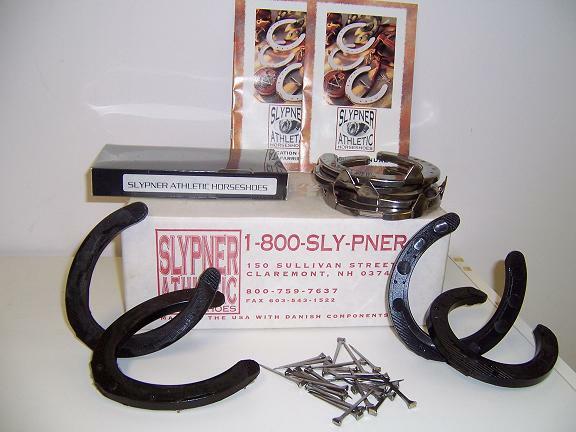 The Basic Kit is all you need to get your horse into a set of Slypner Horseshoes. Please specify front and hind sizes. Please note that size 12 is NOT available.